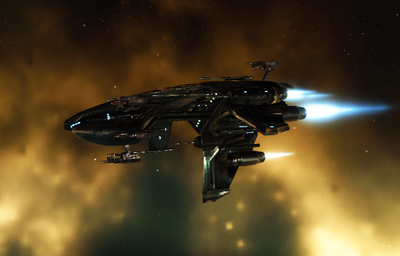 Understanding the capabilities of different ships is a great advantage in eve pvp. This is a valuable skill for anyone, but especially useful for FCs, scouts, and anyone engaging in solo or small gang pvp. In part two of this series, we're going to begin taking a look at the t2 frigate lineup. For me, this is where things become really interesting. T1 ships tend to be all-rounders; while some are better than others in a certain respect, none of them are particularly specialised. In t2 however, ships begin to fit into more of a defined role. While this makes them very effective at what they do, it also gives them weaknesses which can potentially be exploited. Simply because it's possible to say so much about these ships, I've decided to publish the t2 frigates article in two parts. More commonly known as assault frigates or AFs, these are the main brawlers of the t2 frigate line. They're essentially t1 frigates with significantly improved hp and increased damage output. As part of this, they receive a massive resist bonus to the opposite race's main damage types (so for example minmatar assault frigs get an additional +75% resist bonus to EM and +50% to thermal). However, assault frigs are generally slower, less agile and with greater mass than their t1 counterparts (mass being the attribute which affects how much of a speed boost you get from afterburners and mwds). This, combined with the low mid slot count of many assault ships means that they sometimes have difficulty getting into range and controlling engagements when compared to t1 - their ab speeds aren't quite fast enough to match a mwding cruiser or BC, and with a mwd they forego their ability to dictate range when scrammed. In a solo environment, assault frigs are tough targets to break and almost all of them will be a difficult fight in a comparable ship, however their low speed makes them relatively easy to evade if desired. In a gang, they tend to fill the role of heavy 'chaser' tackle, equipped with a mwd, scram, and sufficient hp to survive chasing down and holding targets while under heavy fire. The jaguar is among the most popular of the assault ships, and being essentially a t2 version of the rifter that's quite understandable. While it's slower and less agile than the rifter, it still compares favourably to many of the other t1 frigates in this regard and is the fastest assault frig by some margin. A 4/4/3 slot layout makes the jag excellent for tackle and for range dictation, and this along with minmatar t2 resists (boosting EM and thermal) make the jag a very solid shield tanker, although armour tanked fits are not unheard of. The most common jag setups feature an ab or mwd (sometimes both as dual prop) and medium shield extender along with a scram and web. Don't be fooled by the optimal range bonus, the jag is almost always fit with autocannons - it's quite difficult to tank one effectively when fitting artillery. The jag is definitely one of the harder t2 frigates to come up against, and doesn't have any easily exploitable weaknesses. It's very tough, and thanks to its double damage bonus puts out a lot of dps. Unlike the rifter, the jag does not receive a tracking bonus - this can potentially be exploited by getting in close, however due to the jag's speed and it's tendency to fit the ab/scram/web combo it can be difficult to do this effectively. Avoid hitting the jag's EM and thermal resists where possible. It may seem counter-intuitive, but thanks to the huge resist bonuses even a shield tanked jag will go down easier to kinetic or explosive (the kinetic hole is often patched with a rig, but even then it will still be the second lowest). While the jag remains very close to the rifter in most respects, the wolf is a very different beast entirely. A 5/2/4 slot layout with 4 turrets and a double damage bonus, the wolf can put out horrific dps for a frigate. A hefty bonus to falloff further increases it's 'real' dps, as well as giving the wolf the capability to hit out to far greater ranges than either of its cousins. With those bonuses you'd expect the wolf to be the perfect autocannon boat, and in many ways it is. However, its 2 mid slots prove to be a significant thorn in its side. Firstly, the the wolf has little choice but to armour tank unless it's willing to field no tackle. While it can still field a considerable tank, this leaves it with a huge hole on its explosive and kinetic resists, and this is your best weapon against it. Under no circumstances engage a wolf with EM damage unless you have no other option - with 90% base EM resist, you're looking at an incredibly tough fight. Secondly, the wolf isn't able to fit a web, and so lacks the range control of the jag and rifter. This difficulty is exacerbated by a lower speed than the jag, especially after fitting an armour plate. While this is by no means a fatal flaw, it does allow you to take advantage of the wolf's other weakness - like the jag, it lacks a tracking bonus. Getting in close with a tracking bonused ship like the rifter or a combat interceptor can leave this ship helpless as you tear away at its resist hole. However, many wolf pilots will guard against this by fitting small calibre guns and tracking enhancers (which serve the dual purpose of extending the wolf's already impressive falloff range). Watch your damage notifications or use look-at, and if you see your opponent is fielding 200mm autos go in close for the kill. Trying to hold the wolf at range in a comparable ship is generally a poor idea unless you're equipped with a tracking disruptor or a significant range advantage. While it may be unable to close distance on you, even an unmodified wolf can lay down significant damage out past maximum web range with barrage. With a dual tracking enhancer fit, you could be looking at a falloff range of over 20km! While the vengeance definitely shares many of the traits of the punisher, it's different in three very important ways. Firstly it's black, which looks awesome. Secondly it has an extra mid, with a 4/3/4 slot layout compared to the punisher's more restrictive 4/2/4. Finally, like other khanid designs the vengeance is a rocket ship - literally. The defining theme of the vengeance is tank. The vengeance's armour resist bonus, combined with the built in racial bonuses to explosive and kinetic resists, make this ship a really tough nut to crack. While it can be buffer tanked for over 20k ehp (which is over twice what you'd expect on a regular assault frig), the vengeance really shines when active tanked. The naturally strong amarr capacitor combined with a bonus to cap regen and capless weapons means that the vengeance is able to run a single rep along with all its other mods indefinitely, without even using a nos. Even with a single rep, this ship is able to tank the dps of most t1 frigates entirely. With a dual rep fit it can tank a small gang, although doing so for any length of time requires using a cap booster. Unfortunately for the vengeance pilot, that's about where its bonuses end. While the third mid slot gives the option of a web (or dual propulsion), the vengeance is slow even by AF standards. On top of this, the vengeance's dps output is fairly poor - in fact, it's out-damaged by a lot of t1 frigs. That said, missiles as a weapon system do allow the vengeance to apply that damage fairly consistently, especially against a webbed target. When going up against a vengeance the best advice I can give is to bring plenty of dps, and perhaps a neut (although if you rely on cap for your own tank, you'll probably find it gives out long before the vengeance's does). As with the jag, the resists on the vengeance are counter-intuitive - thermal is the best resist to hit, followed by EM. Many pilots fill their thermal hole, but even then it's still one of the better options. The vengeance may not have great dps, but if you can't break its tank it simply doesn't need to - it can hold you down (providing it has a web and you don't), and simply take its sweet time. Remember that when fighting a missile ship, it's only your speed that matters - not your angular velocity. Because of this, the best way to minimise the vengeance's damage output is to orbit wide and keep your speed as close to maximum as possible. Assuming, of course, you can still put out dps yourself at this range. The retribution is to the vengeance very much the same as the wolf is to the jag. It lacks the vengeance and punisher's armour bonus, however with a 5/1/5 layout, 4 damage bonused turrets and a bonus to optimal range the retribution is simply what energy turrets were built for. The only problem is... yes, you heard right. 1 mid slot. With one mid, the retribution is unable to fit any tackle whatsoever without forgoing its propulsion mod (which in a frigate, is generally a poor idea). This makes it a poor choice for solo pvp, and leaves in lacking a role in mixed ship gangs where the role of dps machine is typically done better by larger ships. However, in a frigate gang it can still be useful and effective. Like the vengeange, the retribution can field a significant tank, although not quite of the same magnitude. Without the vengeance's capacitor bonus and fielding cap-hungry weapons, active tanks are less viable for this ship and a buffer tank is typically order of the day. In addition to this, you can expect 4 mid to high calibre pulse lasers and probably a damage or range mod or two. The end result is a ship which does quite fearsome dps at optimal ranges potentially out as far as 20km, but is unable to hold you in position to apply it without some help (or some foolhardiness on its opponent's part which is more common than you'd think). When engaging a retribution solo, you can afford to be bold since the chances are you'll be able to just warp off if you need to (just don't leave it until the last minute to do so!) Be on watch for his friends though, since unless he's a mission runner or ratter (which given the effectiveness of the ship for this role, may be likely) solo retribution pilots are hard to come by. Like the vengeance, thermal and EM are the best damage types to use, and like the wolf the most effective tactic is usually to take advantage of this ship's poor range control and lack of a tracking bonus by fighting as close as possible. When fighting in a gang, don't underestimate the retribution just because it has a reputation for being a poor choice of pvp ship - the combination of tank and gank is among the best of any frigate. The harpy is a very solid assault ship and one I've had some great experiences with. With a slot layout of 5/4/2 and 4 bonused hybrid turrets, the harpy combines the dps output of the wolf with the tank and flexibility of the jaguar. There are really two very different ways to fit this ship. On the surface, the harpy's dual optimal range bonus tells you it was born to be a rail ship. Indeed, rails are very effective on the harpy - without any range mods it can already hit out to over 50km with spike or deal respectable dps at around 15 with navy antimatter. A full snipe harpy can hit out to over 100km, although at this range it doesn't really offer anything that the cormorant (caldari destroyer) can't do just as well for a fraction of the price. Alternatively, it can be blaster fit - my personal preference. The optimal range bonuses on the harpy cushion the naturally short range of blasters, and with four bonused turrets the ship puts out excellent dps. Unlike its rival the enyo, the harpy's 4 mids allow it to fit not just a solid shield tank but also the prop mod/scram/web combo that blaster ships rely on to keep their targets close. When it's able to get its target up close and personal, the harpy is a real beast. When it isn't, it's still capable of hitting out to around 8km when loading null, which is an achievement that any blaster boat would be proud of! Both variants typically rely on a MSE for tank, although active tanked harpies are not unheardof. A full snipe harpy hitting out to 100km is unlikely to be tanked much at all, and shield die easily if you can catch it. How you face a harpy really depends on how its fit, however there are a couple of things you can take advantage of either way. Firstly the harpy isn't that fast - it's faster than both the amarr AFs, but otherwise it's the slowest. You can take advantage of this to either close range fast on a rail fit, or to kite a blaster fit. Second, the racial resist bonuses for caldari are to thermal and kinetic, leaving a gaping EM hole in any shield tank. This is usually filled with one or two EM rigs, but even then it struggles to get above 50%. If you can't hit it with EM, use explosive - avoid going up against a harpy with thermal or kinetic. When it comes to rail harpies, the advice is obvious - close range fast, and you'll have no problem getting under its guns. For blaster fits, it's a little less obvious. While the harpy lacks a tracking bonus, the web can make evading its tracking difficult. In a fast enough ship with a web of your own it's feasible, but should you fail it leaves you right where those blasters want you. Alternatively you can opt for range - with antimatter the harpy won't deal much damage outside around 5km, although it can extend that to around 8km with null. It you're able to hold it outside that range, a blaster harpy presents a much lower threat. At the time of writing the hawk has only quite recently been buffed, so my experience with it in its current state is quite limited. The hawk is very similar to the harpy - it has the same 5/4/2 slot layout (simply exchanging the four turret slots for four launcher hardpoints), a similar speed, and a missile velocitygiving it the capability to engage at long range if desired. The key difference with the hawk is its weapon system - while a standard missile/rocket hawk will generally deal less damage than a rail/blaster harpy respectively, it can do so much more consistently - without having to worry about the range of blasters or the potential tracking difficulty of rails. It's worth noting that the damage bonus on the hawk is 10% - twice that of all the other assault frigs, which only receive a 5% bonus per frigate skill level. With standard missiles, a hawk can easily hit out to about 60km. However, dps at this range is fairly poor and the grid consumption of standard launchers means that fitting an MSE tank is fairly unlikely. Standard missile hawks are likely to be lightly tanked, if at all. With rockets however, the hawk puts out much better dps (although still fairly average for a close range AF) at anywhere up to around 15km, or further with javelin. Unlike the harpy which can potentially be held at range though, the hawk can easily apply damage to anything in web range, regardless of its angular velocity etc. As with the vengeance your best defence against its rockets is to maximise your own speed, however the likelihood of the hawk fitting a web is high, making this a difficult task. If you find a hawk without a web, you should be able to significantly reduce its damage output by doing this. One other interesting aspect of the hawk is that it receives a bonus to shield boost amount. Active shield tanks are much trickier in pvp than active armour tanks, since you can rarely dedicate all of your mids to tank in the same way that you potentially can with your lows for an armour tank (this is also why the single slot MSE shield tank is so popular on frigs). Because of this the hawk can't field anything like the vengeance's fearsome active tank, however it can do enough to have a significant effect in a 1v1 environment, especially if the pilot is using combat boosters or a (relatively) cheap deadspace shield booster. As with the harpy, EM is usually by far the best choice of damage type against this ship. The Ishkur is commonly considered one of the best, if not the best frigates for solo pvp. There are a few reasons for this. Firstly, the 4/3/3 slot layout (which you'll recognise as being the same as certain other frigates which are also considered particularly good) brings great versatility, especially for a blaster ship which relies on range control to apply its damage. Secondly, like many gallente ships the ishkur has a lot of structure hp - significantly more than either armour or shield. What this means is that simply by fitting a t2 damage control, the ishkur is already tougher than most tanked t1 frigates! Thirdly, oh yeah - there's the drones. With assault ships at Lv 5, the ishkur can carry 2 full flights of light drones, and has the bandwidth to field the maximum 5 at any one time. As we all know, light drones eat frigates; it's no surprise then that frigates are the ishkur's prey of choice. In addition to that, the ishkur is a very capable blaster (or rail) platform, resulting in a very high combined damage output when it can bring both weapon systems to bear. The downside of the ishkur is that like most AFs, it's significantly slower than its t1 counterpart. This gives rise to the most effective tactic when fighting an ishkur - to hold it at range and kill the drones (all 2 flights of them) before taking on the ship itself. This is easier said than done of course, especially since the ishkur pilot will be trying very hard to stop you doing so. On this note, the ishkur is perfectly capable of holding range itself if desired, and the fact that about half of its damage output works at any range makes it very adept at doing so. Rail ishkurs are non unheardof, especially given that the ship receives an optimal range bonus, and as with the incursus this can also be a very viable option. Typically most ishkurs will run either an active armour tank or a small armour buffer tank, supported by the hefty structure buffer I mentioned earlier. Like the caldari AFs, the ishkur receives resist bonuses to kinetic and thermal, leaving a fairly significant explosive hole. This is often filled by a rig or resist mod, but is still generally the best damage type to field against it. Avoid using kinetic damage if at all possible. The enyo follows a similar pattern to the wolf and retribution, sacrificing mid slots for gank and tank. Just like the wolf, it uses a 5/2/4 slot layout with 4 turrets. Where it really differs though is that the enyo is a blaster ship, and blasters as I've mentioned previously rely heavily on range control. This makes the enyo an unpopular choice for solo pvp, since with only a scram it often has difficulty closing to the range required by its weapon system. Other than the retribution, this is probably the AF I've encountered the least. In a gang however, the enyo can be a very effective ship. As you'd expect, 4 bonused blasters plus a token drone produce one of the highest damage outputs achievable by a t2 frigate. 4 low slots also allow the enyo to field a fairly significant tank or to enhance its damage output, however due to the grid useage of ion (or neutron) blasters and a fairly weak cpu it can be difficult to do either to a particularly great extent. Thankfully the enyo has even more structure hp than the ishkur, and a single damage control already provides quite a significant tank. One thing which can definitely be said in the enyo's favour is that it is unique among assault frigates in receiving a much sought after tracking bonus. This significantly improves the enyo's damage output at close range, and makes up slightly for its lack of a web (providing it can reach its desired range in the first place). Combined with the same optimal bonus that the ishkur receives, this can actually make a rail enyo surprisingly viable, although similar to the blaster setup they will likely struggle to maintain their ideal range. The enyo does receive an optimal range bonus, so expect it to hit out further than most blaster frigates. That said, an unmodified blaster enyo will still struggle to hit outside about 6km even with null, so assuming you're able to dictate range (and hit at longer range than it's capable of) you should be able to avoid the majority of its damage. Some fits may be capable of hitting further (up to about 10km with neutron basters and a tracking enhancer) so be wary. If the enyo is fitting rails, move in close and orbit tight. As with the ishkur, explosive damage is your most effective choice for taking this ship down. I love This series, by only recommendation is that you sort these ships as you did with the Frigate article, best at the top, meh in the middle, least useful at he bottom. While I'm sure some would dispute on position over the other, and while it makes some sense perhaps to sort them by race, best to worst is the most useful. It is worth a mention that the Vengeance has 3 turret hard points, and some pilots will use autocannons (or more rarely, blasters) with a nosferatu in the 4th high. This turns it into a truly horrific tackler, as it can field the Holy Trinity of PvP (speed, web, point), run an active tank, and use the nos to keep it all going strong while under neut pressure. A cruiser's worst nightmare. I'm very happy to now try out the Enyo with its' new slot thanks to the latest buff.